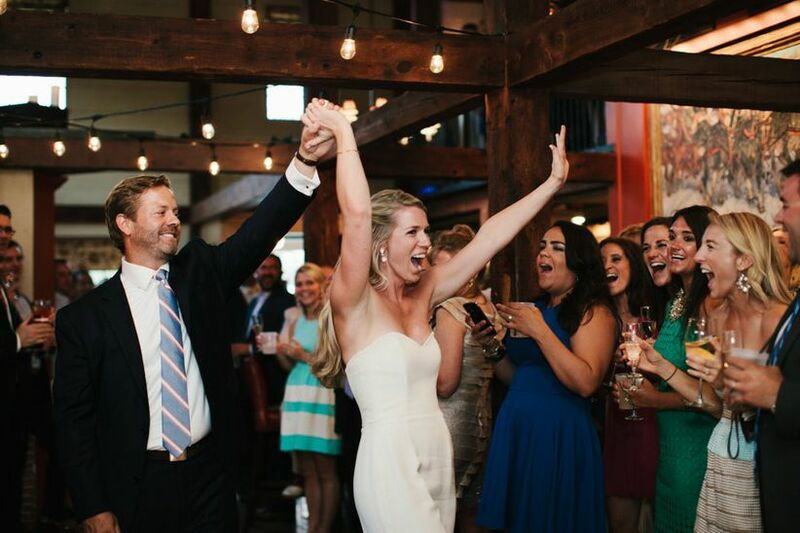 When it comes to wedding, sometimes a more intimate event is just right. These small wedding venues in NH will help you plan the perfect celebration for 120 guests or fewer. 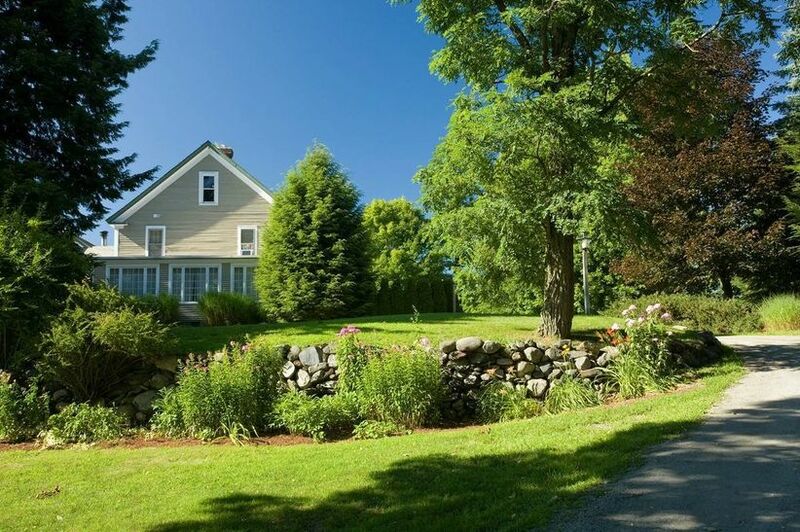 If you’d prefer to be surrounded by only your very nearest and dearest on your special day, then you’re probably browsing small wedding venues in New Hampshire. 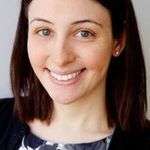 Fortunately, New Hampshire is home to many smaller venues, whether you’re looking for a modern restaurant, a charming historic inn, an industrial space, even a famed art museum. Before starting your venue search, work with your partner and families to come up with an estimated guest count—if your list includes 120 guests or fewer, you’ll want to check out these event spaces. 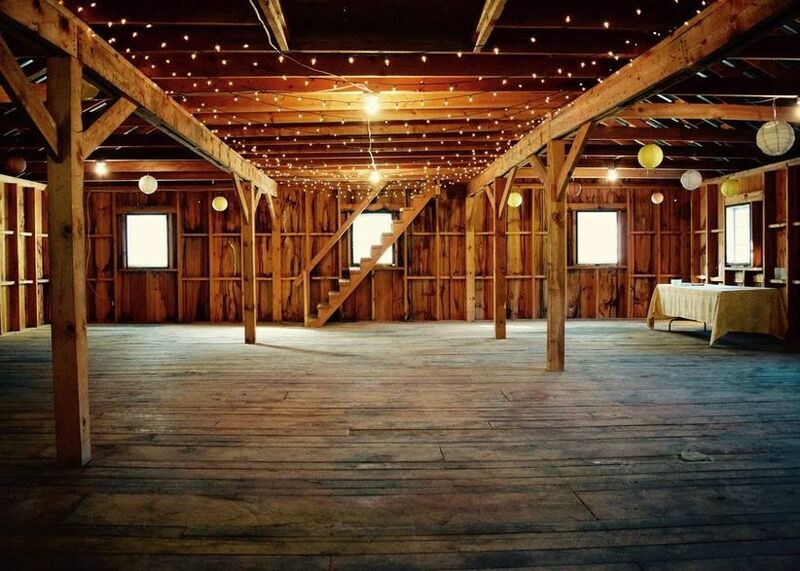 Start planning your intimate event by checking out these small wedding venues in NH. One of the most unique and beautiful small wedding venues in NH is the Currier Museum of Art in Manchester, which can accommodate up to 120 guests. 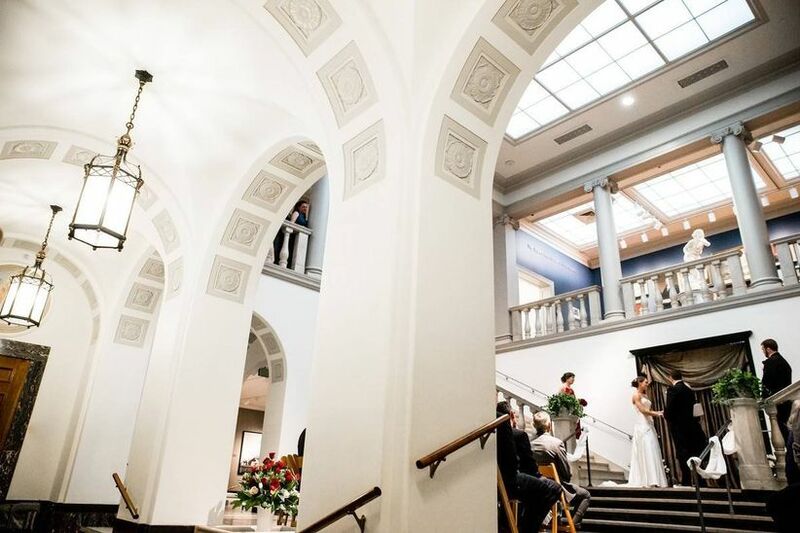 Host your ceremony in the Italian Renaissance-inspired Historic Court with its grand marble staircase. 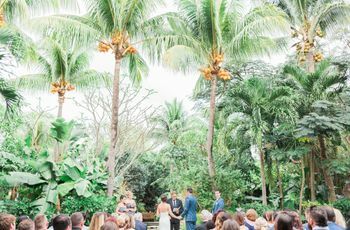 Then, enjoy your reception in the Winter Garden with its Italian mosaics and multicolored mural by famed artist Sol LeWitt (also a fabulous photo backdrop!). Your guests will love exploring the museum during your intimate celebration. There’s an in-house caterer to make your planning process stress-free and a variety of bar services available, too. If you’re looking for a small wedding venue in NH that features both modern décor and water views, this event space is totally worth a look. 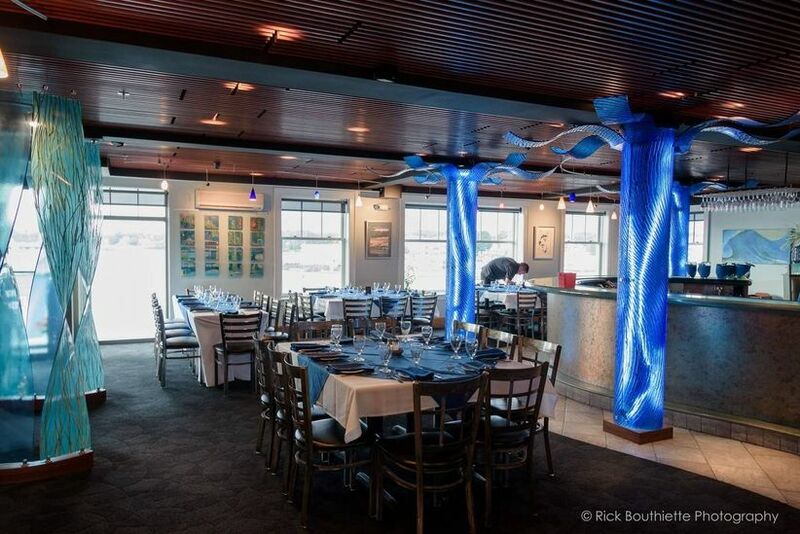 Located in downtown Portsmouth, The Surf Room features unique marine-themed décor, as well as a private deck with views of the Piscataqua River and Portsmouth Harbor. There’s space for up to 100 guests, and a variety of customizable menu options, specializing in seafood. This Couples’ Choice Award-winning venue is also an ideal site for rehearsal dinners and other pre-wedding events. 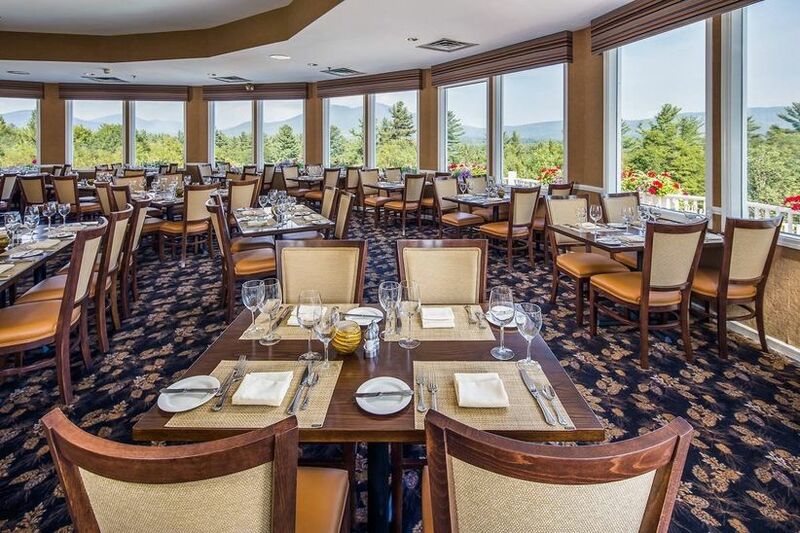 Couples dreaming of hosting a destination wedding weekend in the mountains should definitely check out this resort in North Conway. You’ll love exchanging your vows in the outdoor gazebo with the mountains as your backdrop, followed by a reception in the Ledges Restaurant and Echo Ballroom, which can accommodate up to 120 guests (larger events may be held in a tent on the property). For even smaller events, elopement packages are available. There are a variety of all-inclusive wedding packages available, with mouthwatering menu (and cake!) options. And with 80 guest rooms on premises, your whole crew can stay the weekend and enjoy the beautiful scenery and myriad activities this special venue has to offer. There’s nothing quite like a vintage wedding at a charming New England inn. 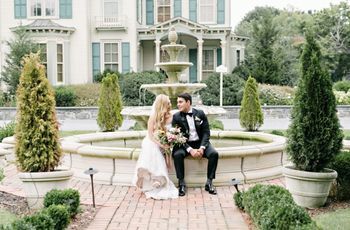 This 1930s-era boutique hotel in Exeter features classic architecture and outdoor spaces for your special day. Host your ceremony in the romantic gazebo or inside the Great Hall, with its original French doors and ceiling-high archways. Then, enjoy dinner and dancing in the Daniel Webster Room, with its unique woodwork, high ceilings, and 1930s chandeliers. Tented receptions in the garden are also available. This inn can host weddings of up to 100 guests and offers in-house catering, as well. And with 46 guest rooms, your loved ones can stay on premises to enjoy your destination wedding weekend. 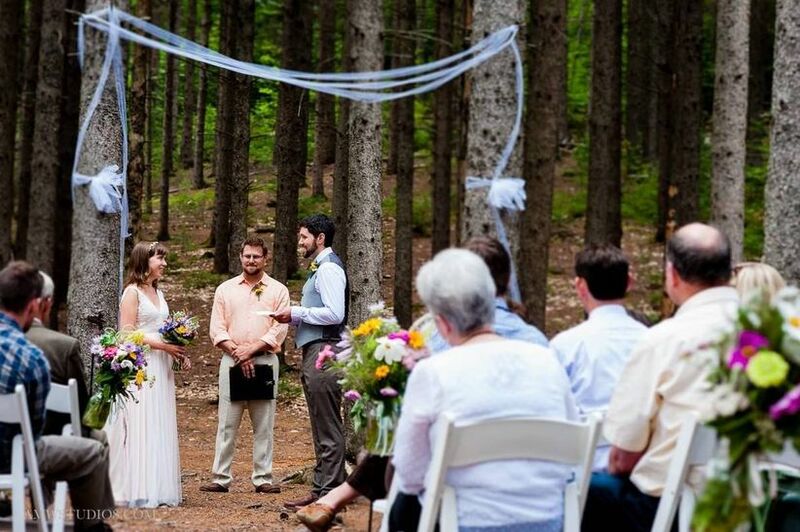 This 1,200-acre reservation in Bristol is one of our favorite small wedding venues in NH, particularly because of its woodland setting, ideal for nature-loving wedding couples and their guests. You’ll fall in love with the serene wooded ceremony site, as well as the rustic lodge’s event space, which can host up to 80 guests. For the ultimate outdoorsy wedding, you can rent the entire campsite so your guests can stay in the lodge or even camp out on the grounds. When you’re not celebrating your nuptials, enjoy hiking, swimming, blueberry picking, and more at this oh-so special venue. Whether you’re planning an elopement or a super-intimate wedding, this bed and breakfast is a charming pick. 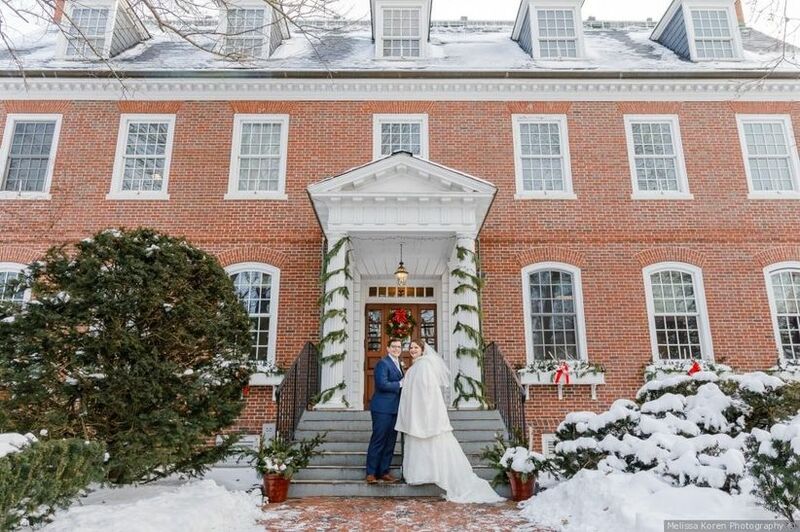 The inn’s lush grounds are ideal for ceremonies and portraits, and indoor ceremonies in front of the fireplace makes for cozy, cold-weather “I dos.” You and your guests can then celebrate in the inn’s fine dining restaurant with its views of the Connecticut River Valley. With space for 60 guests, this is a fabulous pick for couples looking for privacy and a low-key vibe. This pet-friendly venue makes elopements super-easy with an affordable package, that includes a justice of the peace, bouquet, small cake, sparkling wine toast, and a three-course dinner for two. Set on 15 acres of woodlands on Newfound Lake in central New Hampshire, this inn offers a glorious setting for a rustic or garden event. You may host your ceremony in the garden or a nearby barn, followed by a tented or barn reception for weddings of up to 120 guests. Even smaller events and elopements can be held inside the inn’s restaurant. This pet-friendly venue can provide catering, and only one wedding is hosted at a time on the premises. The inn also makes a great honeymoon or mini-moon destination for couples looking for a relaxing getaway in the White Mountains. 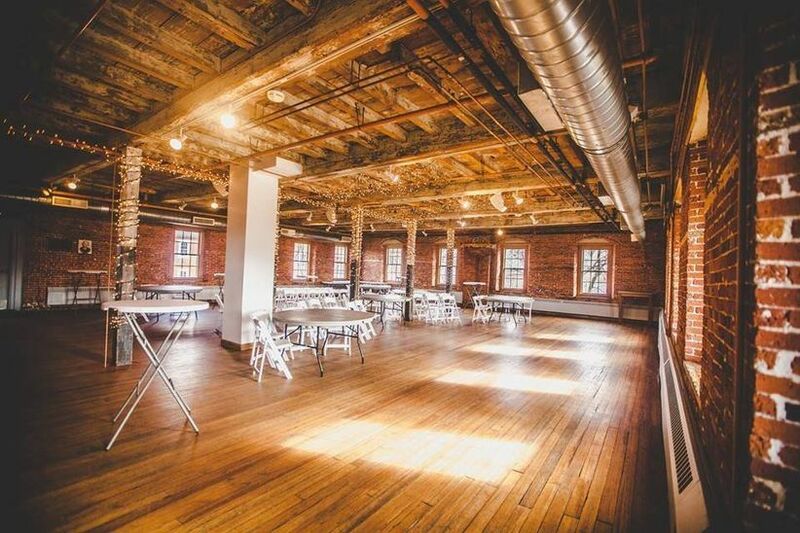 Industrial wedding venues are oh-so-in right now, so it’s clear to see why this Laconia venue is one of our top small wedding venues in NH. From the exposed brick to the wooden details, you’ll be wowed by this historic space, which also serves as a museum and arts center. Enjoy an outdoor ceremony in the gazebo at nearby Rotary Riverside Park, followed by dinner and dancing in the warehouse-like space, with a capacity of 120 guests. Outside catering is permitted, so you can choose vendors that fit your wedding vision. Plus, this event space is open year-round, so you can enjoy an amazing event no matter the season. There’s so much to love about restaurant weddings, particularly for smaller events, so this conveniently-located Portsmouth eatery is just the spot for an intimate wedding or rehearsal dinner. Exchange vows in the garden, followed by a reception inside the restaurant. 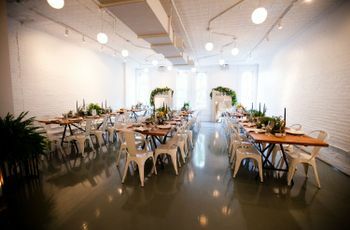 You can rent out the entire space, which can hold 120 guests, or just the mezzanine or covered Palm Court patio space. The restaurant’s talented chefs will create a custom menu just for your wedding day, and you’ll love Mombo’s classic New England-style décor. 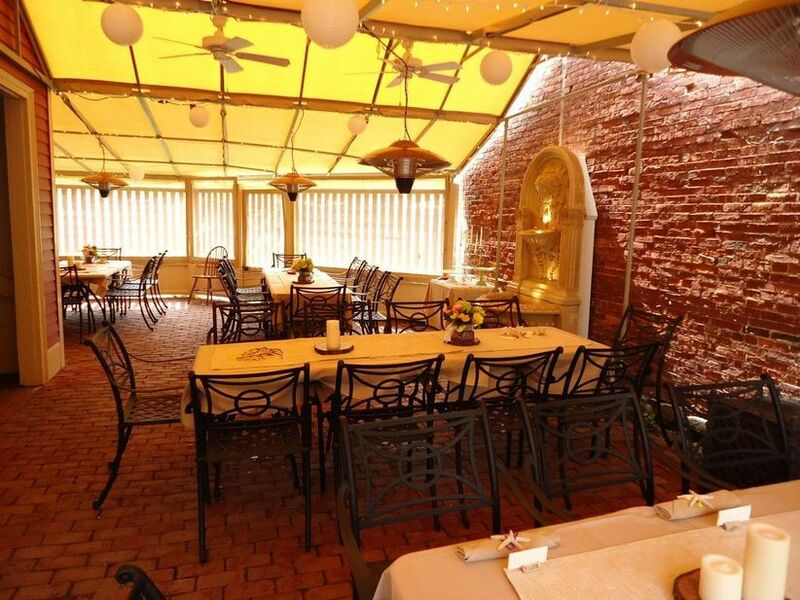 This waterfront restaurant in Portsmouth is an ideal small wedding venue in NH. 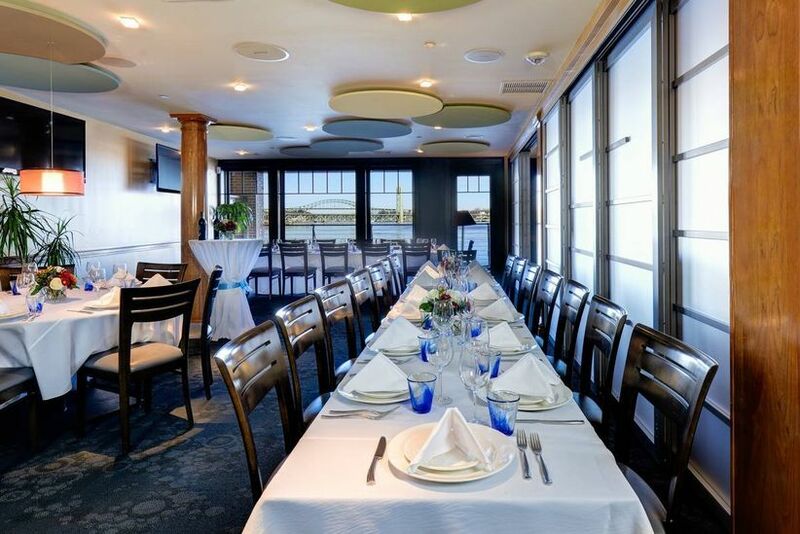 There are two private dining rooms, the East Room, with space for up to 60 guests and floor-to-ceiling windows overlooking the Piscataqua River, and the West Room, with seating for 50 guests and its own breathtaking river views. The New American cuisine wins raves, and this is also a popular spot for rehearsal dinners.